Using the latest True Tone technology, the iPhone 8 Plus which boasts a large 5.5 display alters the light on the phone depending on the surroundings to make it visually appealing to the user. One of the most powerful phones on the market, the iPhone 8 Plus has an A11 bionic chip. With a dual camera that offers many lighting modes and 4k video recording, you will be in your element. Wireless charging, water resistance and AR apps are just some of the benefits of this model. 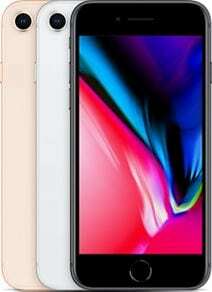 Get the iPhone 8 Plus with NO Credit Check NOW!